Healthy Food from Healthy Soil… At Forstbauer Family Natural Food Farm we farm with the understanding that the life & health of the soil is vitally important; ensuring that the food we produce has everything it needs to fuel our bodies. We offer Certified Organic and Demeter Biodynamic blueberries (fresh or frozen), strawberries, beets, green beans, carrots, chard, dill, pickling and regular cucumbers, kale, potatoes, pumpkins (sugar pie and jack-o-lantern), summer and winter squash, zucchini and many other seasonal veggies. We also have Certified Organic free range eggs and Certified Organic grass fed beef. Visit us year around at farmers’ markets around Vancouver and the Fraser Valley. 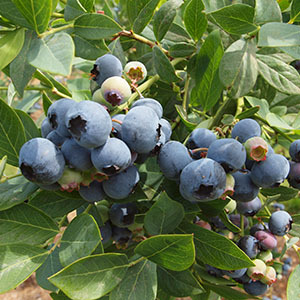 Visit the farm by appointment and check our website to see when our delicious U-Pick Blueberries are ready! Order direct on our website from our new Online Farm Market. Open: All year, please phone ahead before visiting farm.